When I designed 'Saffron' I wanted something free-flowing and modern. This font is fun and graceful all at the same time . 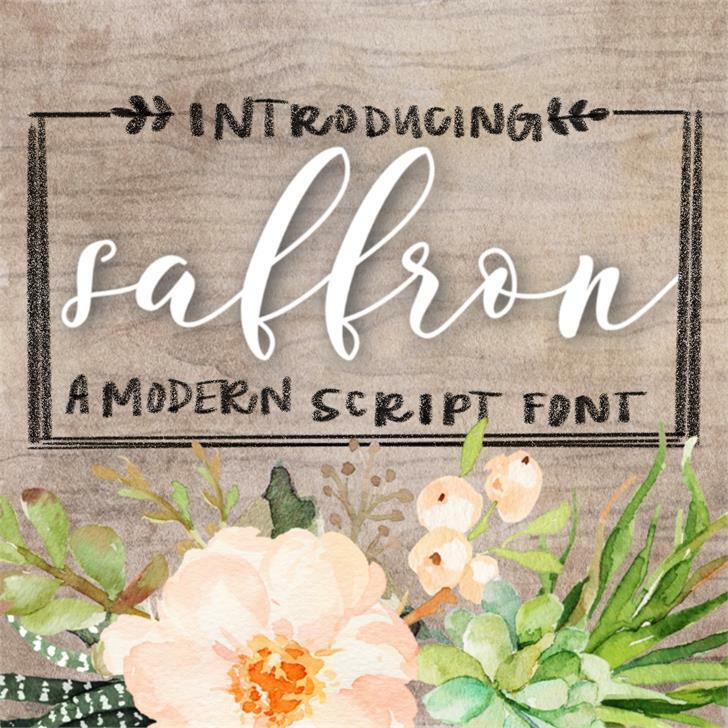 To purchase a commercial license for Saffron, or see my other fonts and products, visit me at sarahtaylor.us. Thank you for your interest in Saffron! Gorgeous font - thank you! 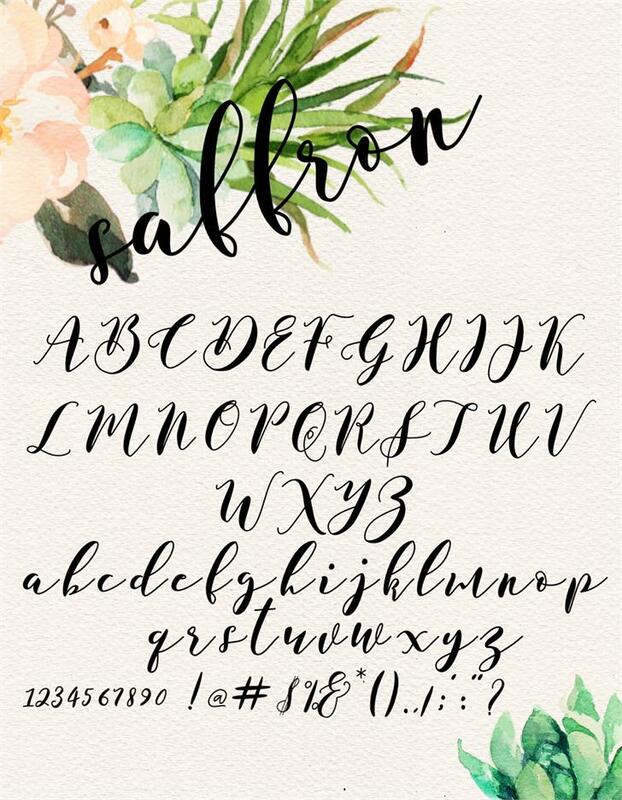 What is the other font in the first preview, also those watercolour flowers are beautiful - are they available, as well?